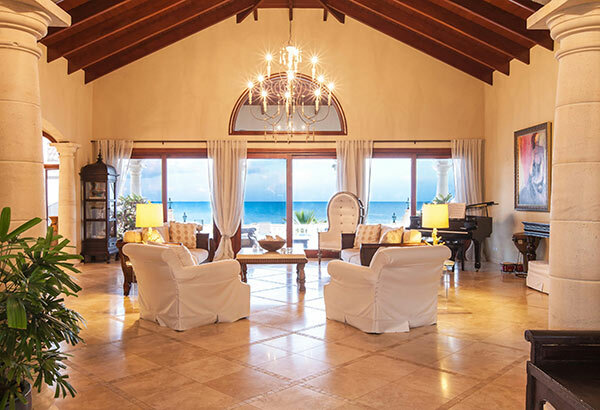 Set on a tucked away, little-known white sand beach and with grand rooms and luxurious furnishings, Sandcastle Villa is a dream, especially for those of us who love the beach. 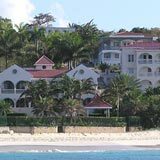 Anguilla villa owners, Philippe and Ingrid, tell their family's story of how they came to find themselves living on Anguilla's pristine sandy shores in their dream villa. Here is their story. 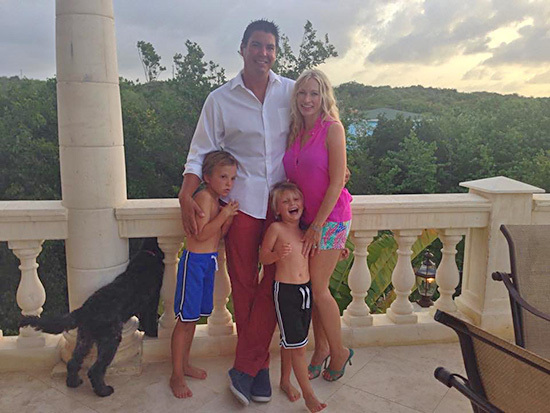 When we first vacationed on Anguilla, we had no intention of living here. We were just enjoying a well deserved, month long vacation on the beach. After a few weeks, we were enjoying the island so much, that we asked to extend our rental by another week. Unfortunately, the villa we rented was already booked. We decided it wasn’t meant to be, so back home we went. But Anguilla was in our hearts and on our minds... we couldn’t stop thinking about that Caribbean life! ... a beach that is very secluded, with soft white sand, dramatic waves crashing on the rocks in the distance, with magical sunsets to enjoy every night... could we really own this little piece of paradise? 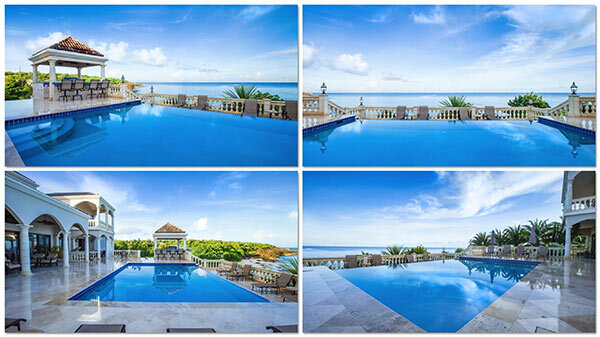 Fast forward about 9 months, and we couldn’t stop thinking about this dream home called Sandcastle Villa. We made an offer on the house, which was promptly accepted. Just like that, we traded a high stress, fast paced life in Las Vegas for a no stress, slow paced, yet luxurious life on the beach! We have not looked back since. The home was 90% finished when we bought it, and we’ve spent the last 6 years upgrading, putting finishing touches, and incorporating our own style to make it a "Caribbean dream," not just for us, but for our guests who we share our little slice of paradise with. 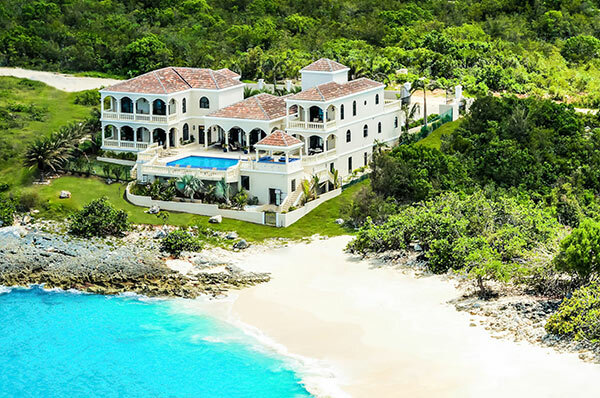 Owning a home in Anguilla is a labor of love. That said - we are constantly showing our home a lot of love! Sandcastle is spotlessly maintained (an important factor - considering the villa's close proximity to the sea), comfortably furnished with high end bed and bath linens, kitchen wares, and furnishings. One of the things that struck us on our first visit to Sandcastle, was that it is set up just as a family home would be (albeit a large family home). Its floorpan lends itself to families with children of all ages, yet there are still plenty of spaces to have a moment of solitude or romance (private staircase entry as well as private balconies off of both Master and Junior Master bedrooms, romantic outdoor shower in Master, etc.). Guest bedrooms on ground floor are closely situated to the "kids lounge"... a space that invites kids to independently play, read, sleep or even finish homework if they must (as ours do!)! It’s a great break for the adults to leave the kids to their own devices in a safe spot. 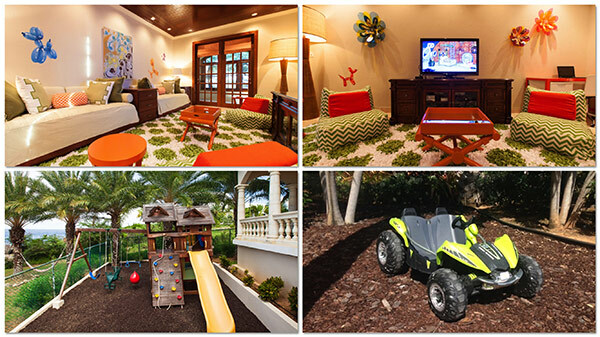 Sandcastle also provides a physical outlet for the kids when they’ve had enough of the water, they can monkey around on the swing set, rock climbing wall, clubhouse hideout playground area. The bedrooms are all king beds, all with ensuite stone bathrooms with large walk in showers. You have the option to sleep 2 children in the kids lounge, which has 2 twin size beds (set up as sofas for movies and Xbox by day, and housekeeping will make up as beds for sleeping at night). The wood deck that is situated directly on the beach is affectionately called the "Zen Den." This is our favorite view. Here, you are in the shade, but on the beach with a dining table for 8-10, a swinging daybed full of pillows for a nap with the waves crashing in the background, Sonos speakers and WiFi, fans to keep cool. It's heaven... pure zen. The garden is full of flowers and lush greenery (we also try to keep mint, basil, parsley and cilantro in our garden for ultra-refreshing cocktails), and set amidst that tropical landscape is a comfortably furnished terrace with sofa and 2 club chairs. It's our favorite spot for a late afternoon cocktail, especially if we've had a bit too much sun for the day. The terrace is shaded under a huge palm tree and boasts the perfect breeze all day long. Plus, you are not far from the kitchen and the blender, when you need a refill! The staff at Sandcastle is dedicated to your enjoyment, your relaxation, and to making sure you are busy making memories. You will not need to lift a finger. Laundry is done daily, the house is cleaned from top to bottom daily, fresh cut flowers are presented throughout your stay, cold towels upon arrival at the villa, and so much more. Our concierge extraordinaire is available 24/7, housekeeping is provided full time, every day (less if you prefer privacy, but we also hear that our staff knows how to be present yet invisible at the same time, so as not to intrude on your family time). 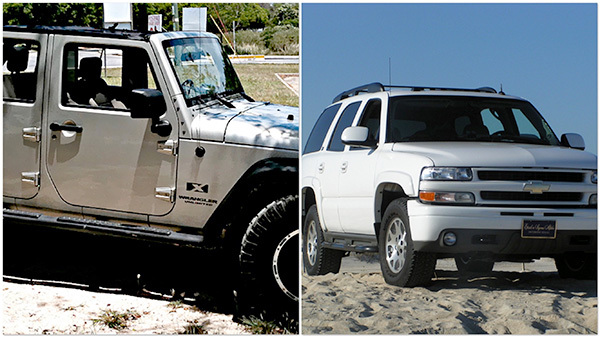 And, the villa even comes with two SUVs! Our guests are consistently telling us how our staff went above and beyond to make everything perfect. If there is something you need or want, just ask... anything is possible! 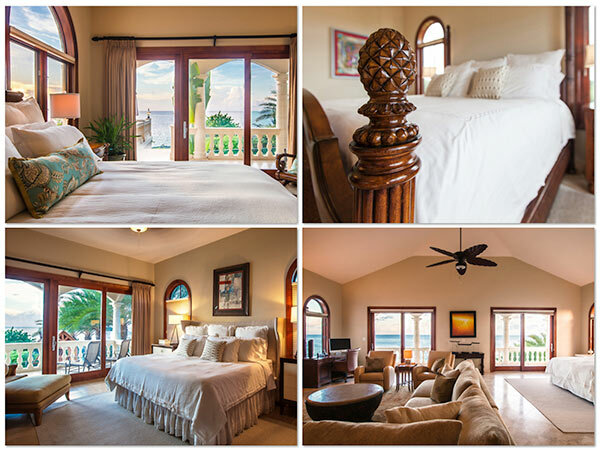 We look forward to welcoming you to Sandcastle, our luxurious beachfront villa where your only “to-do” is to get here.